A popular dish from Arcot district in Tamil Nadu, the makkan peda is similar to a Gulab Jamun but with a filling of dry fruits inside. 2. Add cooking soda, maida, khoya and curd. 3. 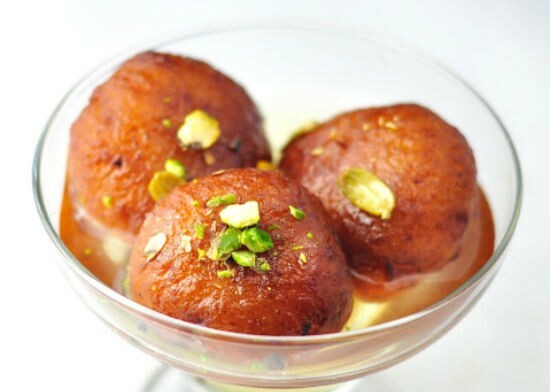 Mix well to a gulab jamun dough consistency (soft dough). 4. Make small balls of the dough and shape them to a cup. 5. Insert few pieces of the dry fruits into each cup and roll it into a ball again. 6. In a separate pan, heat 3 to 4 cups of water and bring to a boil. 7. Add the sugar and stir well until fully dissolved. 8. Keep stirring and simmer until it has an one-string consistency (thick, sticky but pourable consistency) and switch off the flame. 9. Heat oil in a deep frying pan. 10. Deep fry the prepared balls until golden brown. 11. Remove and transfer them to the sugar syrup. 12. Keep aside for 10 to 15 minutes and serve. 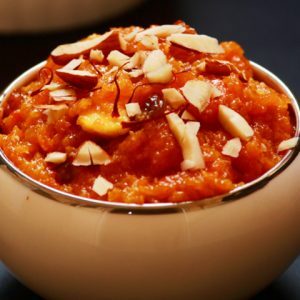 Feel free to comment or share your thoughts on this Arcot Makkan Peda Recipe from Awesome Cuisine.